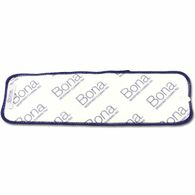 Bona Microfiber Cleaning Pad - 4" by 15"
Bona Microfiber Mop Cleaning Pad- 4"x 15" fits 4"x15" mop base. 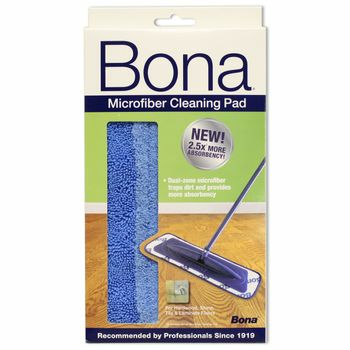 The 4-inch by 15-inch Bona Microfiber Cleaning Pad is designed for quick, easy cleaning of moisture and dirt without dulling or scratching the floor's finish. 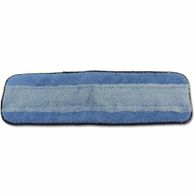 You can thoroughly clean dirt, microparticles and common household allergens when you use this blue microfiber cleaning pad dry and can address staining and dirt buildup when used wet with Bona cleaners. 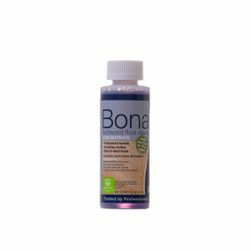 This Bona cleaning pad fits all standard Bona floor mops, including Bona Hardwood Floor, Motion and Express Mops (all spray mops) and the Bona manual mop that is included in the Hardwood or Stone, Tile and Laminate Floor Care Kits. This is an eco-friendly alternative to less effective household mops, as it is machine washable up to 300 times and is Greenguard certified for its low environmental impact. 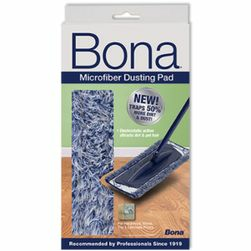 For the Bona original style mop, use the Bona X MicroPlus Mop Cover. 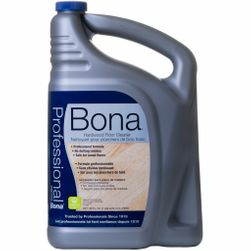 Bona Professional Series mops are larger and use the 18-inch mop pad, which is also available at 1877FloorGuy. 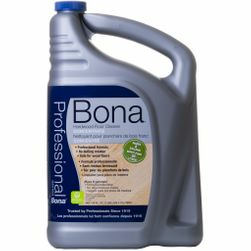 Use wet with Bona Hardwood Floor Cleaner or Bona Stone, Tile & Laminate Floor Cleaner for effective, non-toxic cleaning. The 4"x15" Pad easily attaches to your 4x15 Mop with the Velcro on the mop base. 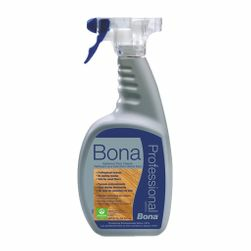 Washable for over 300 uses. These items are eligible for free shipping via USPS. And also ships free when added with other items.